BOTOX® fluid is safe for reducing skin creases or facial lines. Facial lines on forehead, around eyes, upper lip, and neck respond extremely well to Anti Wrinkle Injections. These areas are called: Brow lines, frown lines, crows feet (laughter lines), and smokers lines upper lip. 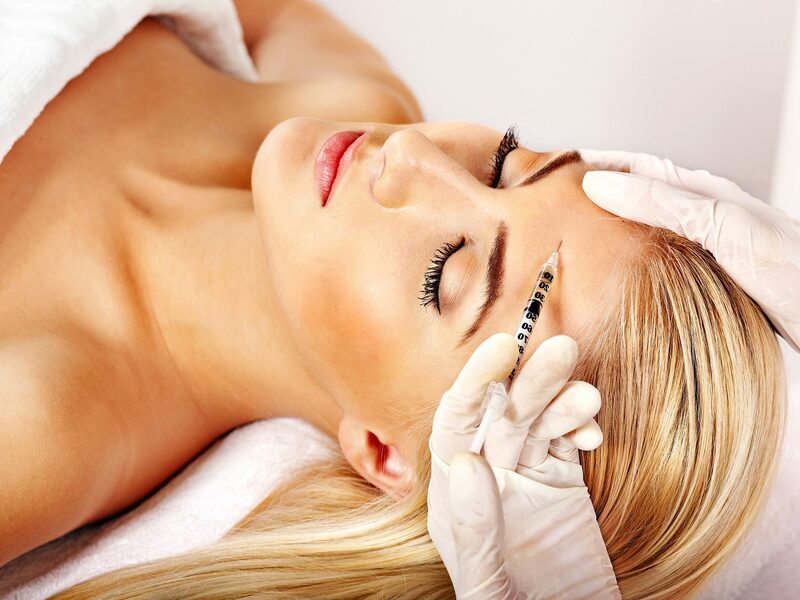 At our clinics in London and Essex, we use extremely fine needles are used to inject. The procedure is usually painless, with some slight discomfort. Anti wrinkle injections work within a few days, lasting for 3-6 months. Side effects include discomfort, tingling and slight swelling at site of injections. In some cases there can be a temporary drooping of the eyelids for several days. 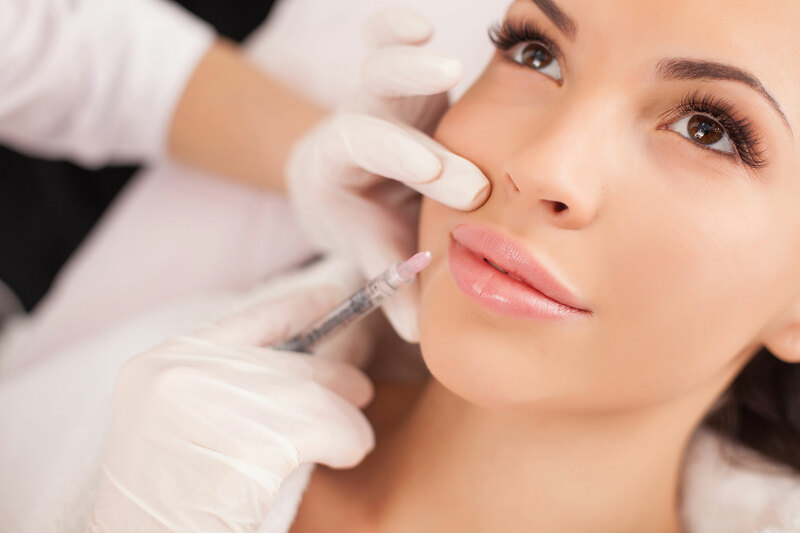 Which type of 'BOTOX®' is used? We use Botulinum toxin type A. 3 different brands are used - BOTOX® (Allergan) the first and most famous brand, Azzalure, and Bocouture. At the consultation you can choose which brand you prefer. Prices are the same. Some patients have strong jaw (masseter) muscles, this causes pain and teeth grinding especially at night. Injecting treatments for lines and wrinkles into the jaw muscles helps to ease the symptoms. These injections are also used to create a more softer face profile, reduces strong angular jaw line. BOTOX® is injected across forehead, temple, and occipital muscles which relieves tension and therefore eases migraines/headaches. Number of Injections and sites will depend on individual and their symptoms. BOTOX® Treatment is very effective for excessive under arm sweating. The armpit area is always numbed before injecting with anaesthetic cream. We provide a wide range of anti-wrinkle treatments, dermal fillers and minor surgery services. For more information on any of our services or to book an appointment please send us an enquiry via our contact page or call us today!